Auto dent removal doesn’t have to be expensive! 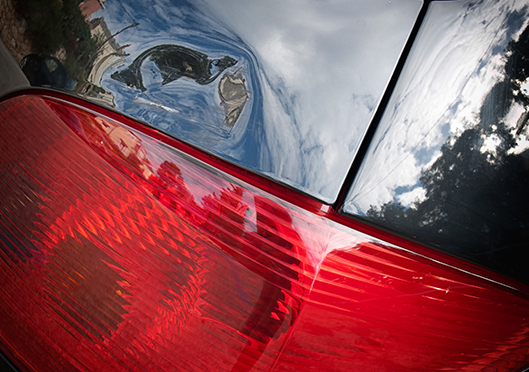 With Paintless Dent Repair, removing minor dings or dents is a breeze. Remove Car Dents for Less! Grieco Collision Center knows nobody wants costly auto repairs for dents or dings. That’s why we offer Paintless Dent Repair. If your car has suffered slight hail damage or even grocery cart bangs, PDR might be your auto repair solution. Paintless Dent Repair is the fastest, most efficient, and cost-effective method of removing door dings and minor dents from your vehicle without disturbing your factory paint. The innovative process for dent repair permanently removes automotive door dings and minor dents using specialized hand tools to manipulate and massage the metal back to its original form. Because Paintless Dent Repair works from the behind the damaged panel, it does not require sanding, painting, or body fillers. In most cases, there is no evidence a dent ever existed. That means you get all the results without the cost of additional labor and supplies! For more intense dents, Grieco Collision Center is ready to repair any size ding your car is affected by! During the repair process, if we determine that your car is not eligible for PDR, you will be informed during the initial estimate phase. We are certified for auto body work on every make and model, car or truck, domestic or import! Grieco Collision offers Paintless Dent Repair & Auto Dent Removal in-house with licensed technicians. Bring in your vehicle today and get an estimate. You’ll be surprised at how much time and money you’ll save. We’re always excited to answer any questions you have, at any time during the auto repair process. Give us a call or contact us today!